Are you planning to move to Oakville? You made a great choice! Beautiful Town of Oakville is located on the shoreline of Lake Ontario. It is known for its shopping, dining, excellent schools, picturesque lake views and more. Oakville offers 200 parks, 150 kilometres of natural walking trails, playgrounds, splash pads, great community centers, and many waterfront parks. 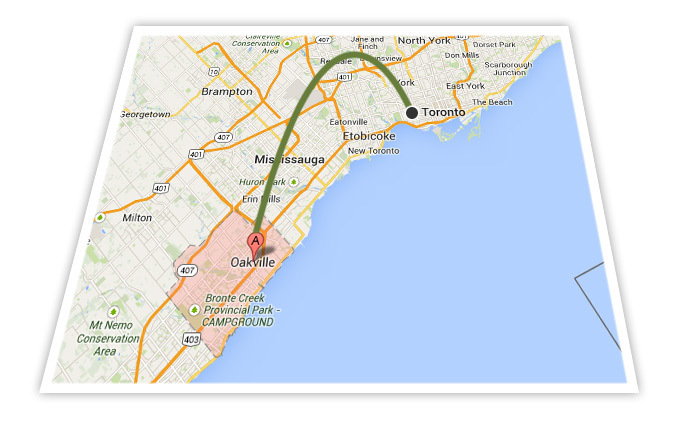 Oakville is located only 30km away from downtown Toronto, it offers convenient public transport and easy highway access. No wonder you have decided to settle your family roots here. Transline Moving would like to become your partner and moving adviser. We can offer stress free moving experience for you and your family. Transline Moving hires only experienced and highly qualified moving professional. We understand your worries and concerns. Transline Moving offers full range of moving services including transportation, packing, unpacking, insurance and more. Feel free to contact us today at (416) 628-5336. Our friendly operator will provide you with a free moving quote. Keep in mind – your full satisfaction is our top priority.